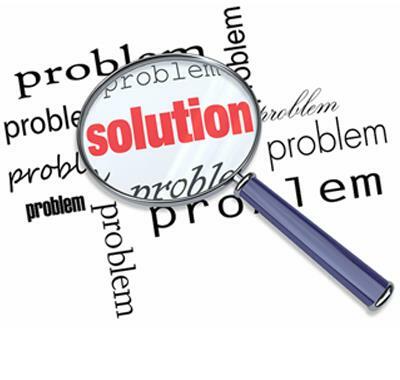 1) What is the end-game solution for the Euro? 2) How will the Euro survive after the Cyprus solution? 3) What is to be accomplished by staying in the Euro and suffering the indignities Brussels is inflicting upon Cyprus? 4) Will the Eurozone survive this collapse in the financial confidence? 5) Can Cyprus leave the Euro but remain in the EU? These are the critical questions that MUST be addressed. Is there really an end-game solution for the Euro or is there no long-term strategy just react to the latest crisis with no structural idea where this leads? Europe has no solution for there is no long-term plan. Where will the euro be in 5, 10, or 20 years? These are serious questions that Cyprus MUST confront head-on and if there is no long-term objective in Brussels, then why remain within the Euro at the cost of economic disintegration? Europe sees this only as the German elections and Europe v Russia. Cyprus to them is collateral damage. Clearly, they would not do this to France. Thus, the Eurozone is not a union of equals. Brussels has NO comprehension of reality. Their Cyprus Solution is a death blow to the Eurozone for this will now emerge as a contagion for they have destroyed public confidence and trust in the Euro as a viable currency. Their lives are not at stake. Do you really want to be a branch manager of a local bank in Cyprus or even a clerk? They think they are not bailing out the Russians, but they are demonstrating to the world that the Euro is not a currency that is ready for the world stage. Cyprus MUST make a choice. Follow the nonsense from the ECB, Brussels and Germany, or abandon the Euro, stay within the EU like Britain, create a new currency, and then create a public utility for the gas reserves whereby you can swap out into shares. 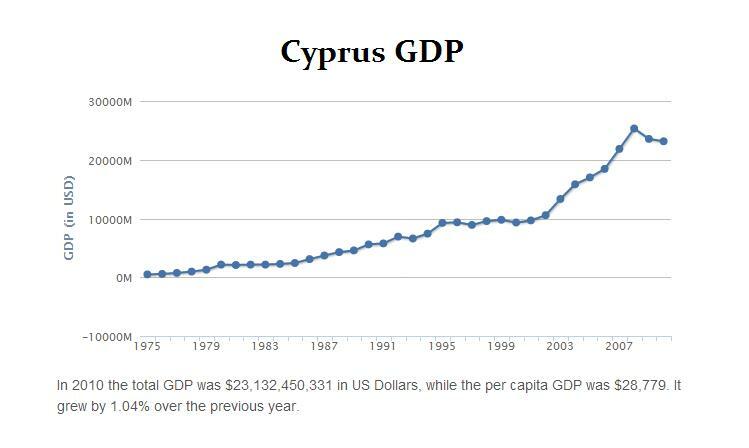 Unless Cyprus abandons the Euro, it will enter a Dark Age for its financial sector will never rise again and the economic decline will be massive with job loss at record levels. As political unrest rises, there goes any hope of tourism. 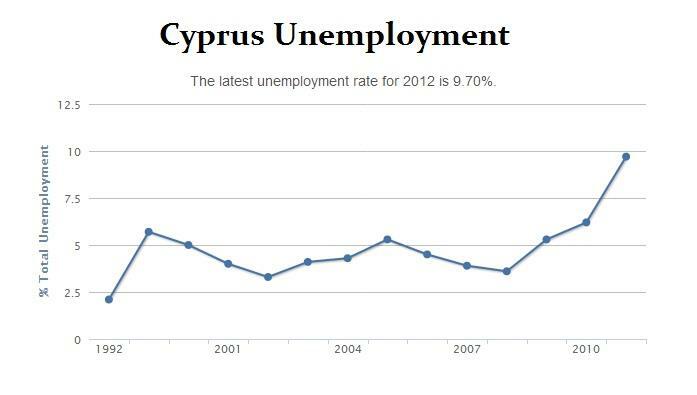 This will be a spiral that Cyprus cannot afford. It is decision time. The Euro is DEAD! 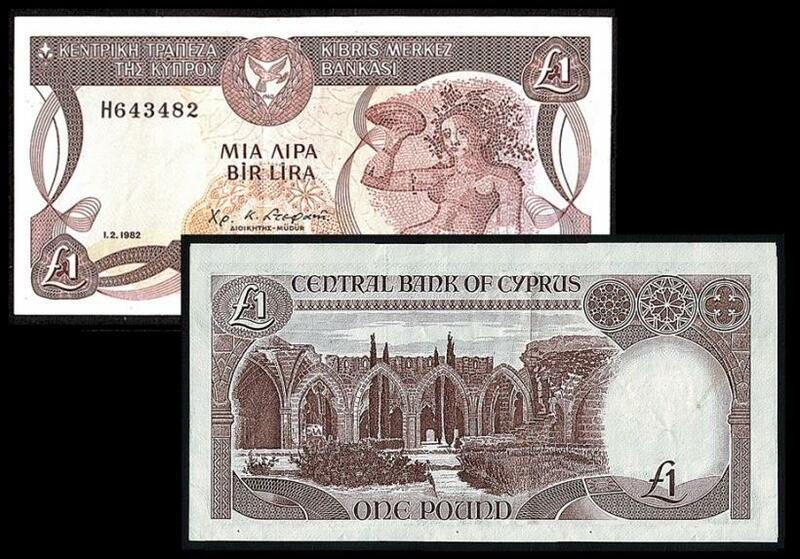 Long live the Cyprus POUND! 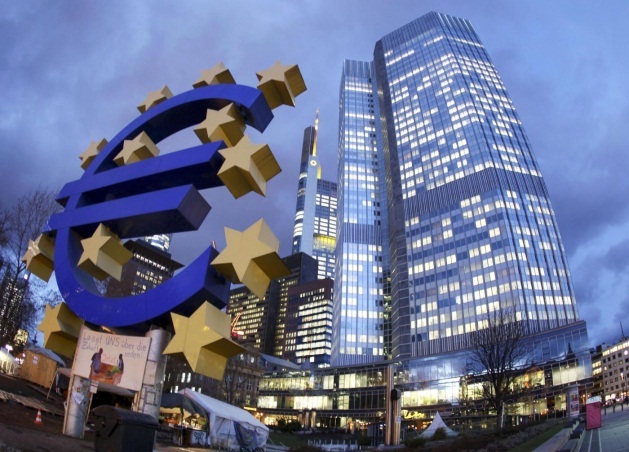 European politicians created the European sovereign debt crisis back in 1999 by rating all European sovereign bonds as reserves and requiring European banks to hold those bonds as reserves. 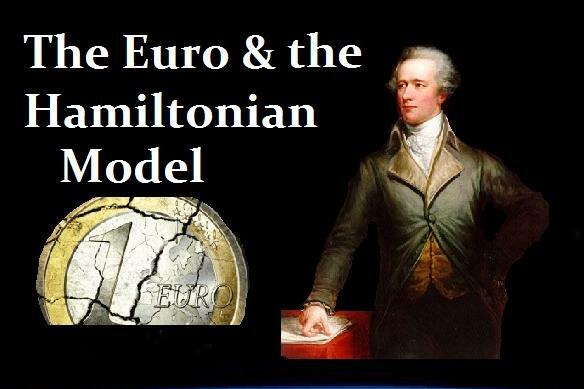 The original idea of the Euro was absurd that a single currency would bring a stronger union. That concept was faulty and misconstrued the success of the United States. It was not that the 50 states had a single currency, but no trade barriers and a single rule of law. The idea that this would save currency exchange fees was absurd, and the political forces lacked any historical depth as to constructing a country of independent states. To succeed, there had to be a single debt. They did not think they could sell that in 1998 and did a half-baked job. Greece, for example, was able to borrow at substantially lower rates than they would have normally and distorted the market over a long period. Now they have to be rolled forward and the new rates are much higher. The government budgets are going to grow dramatically and this has caused the real economic crisis. Also the European Financial Stabilization Mechanism (EFSM) doesn’t help to solve that problem due to the simple fact that missed it to create a single debt like in they did it when the United States was formed. This “non-consolidation” of debt is the root of today’s financial problem in Europe. All European countries need to convert the existing debt into federal bonds and whatever new debt is issued after that act by European Union member countries would be the equivalent of U.S. state debt. Only “post-consolidated” debt would be acceptable for bank reserves, not “pre-consolidated” debt. Effectively, what was misunderstood at the point of the creation of the EURO is that UNLESS the debts of all EU member states was to be consolidated into one single European debt, the system would be torn apart at a later stage. Princeton Economics has warned the EU officials multiple times during the 1990’s when they attended our economic conferences. With each member state retaining their own debt this defeated the concept of a single currency for traders could still isolate any individual member State’s debt. All debt up to entering the Euro had to be placed into a national debt. Any new debt AFTER that point would have been the member state debt that would NOT qualify as banking reserves. 1) The Euro could NOT become a world reserve currency without a single debt into which capital could park as is the case with the Federal debt of the United States. 2) A single debt would have created a single interest rate for the federal government. 3) Banks are now the casualty for they used member States as reserves and had to be politically correct now resulting in the threat that a Sovereign Debt Crisis will result in a Banking Crisis causing the infrastructure to meltdown. 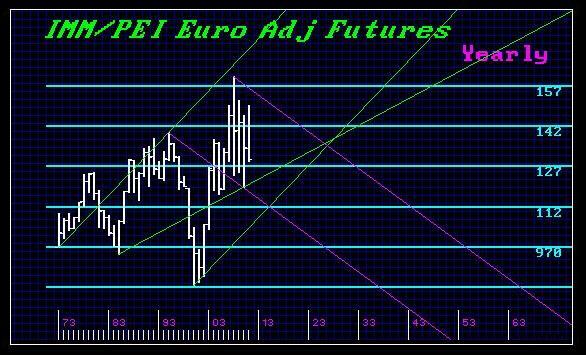 After the introduction of the Euro, the currency fell to US$0.80 at first, but then rallied to nearly $1.60. This meant that the PREVIOUS debt of southern European member States APPRECIATED dramatically doubling in real costs measured in dollars. It was not just a spending-spree of those member States but the liability side of the balance sheet that caused todays troubles. It was this DOUBLING of the real nominal value of the debt that they had to pay. The only way to solve this Cyprus Crisis is to abandon the Euro, yet remain within the EU for trade purposes. 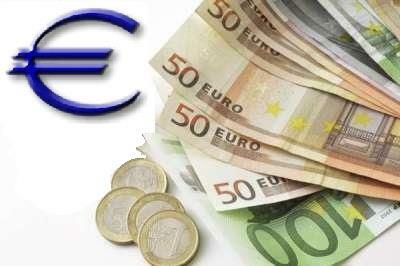 This will return financial sovereignty to Cyprus for the currency is no longer a tangible entity. Currency has become purely an instrument that is the reflection of public confidence within that economic state the same as a share in a corporation rises and falls based upon confidence in that company. The Cyprus pound has effectively replaced by the euro as official currency of the Republic of Cyprus on 1 January 2008 at the irrevocable fixed exchange rate of CYP 0.585274 per EUR 1.00. The Central Bank of Cyprus’s capital controls will include a 300-euro ($383) daily limit on withdrawals and restrictions on transfers to accounts outside the country. Gauges on the outlook for the economy and personal finances both fell. (2) Swap Rate could be CYP 0.585274 per EUR 1.00 but for the common man it would be best to revalue the pound at par to the Euro for the swap. (4) Currency controls initially prevent exportation of funds and shall at first be imposed and lifted when the situation has normalized (3-12 months). 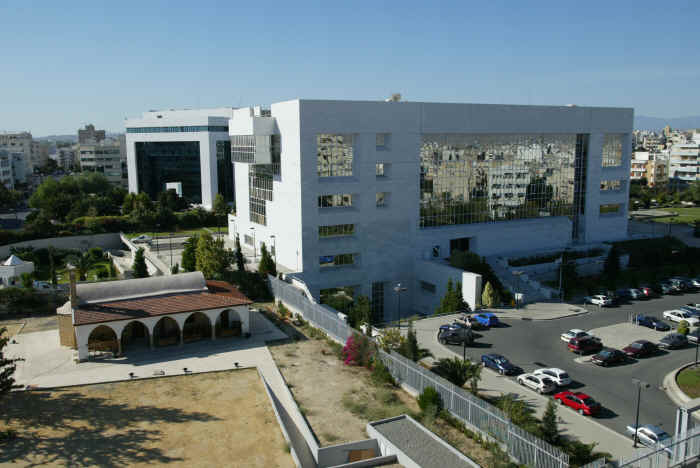 (1) Banks swap Euro bond holdings for New Cyprus Bonds in NCP. (2) Any shortfall shall be made up with share swap in the nation’s gas reserves. Those shares will then be traded on the exchange affording people the opportunity to cash out if they so desire based upon market value. (2) Eliminate VAT and replace it with “end point sales tax” (consumption tax) with no refunds to tourists. This way, tax burden is shifted to all not merely Cyprus citizens. It will also remove entirely any underground (black) economy. Income tax only applies to the above ground economy and a consumption tax need not track the buyer so everyone pays. (3) Corporate tax rate of max 10%, guaranteed for 10 years to attract new business that then can do proper long term tax planning (currently unavailable in the EU). 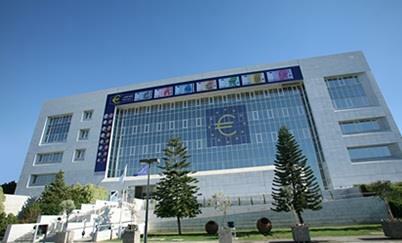 (2) Bank reform should prohibit the lending of money outside of Cyprus. (3) Any shortfall shall be made up with share swap in the nation’s gas reserves. Those shares will then be traded on the exchange affording people the opportunity to cash out if they so desire based upon market value. We must address the short-fall of some €21 billion. The best way to handle this is to create a Public Utility into which rights will flow to the gas reserves that have the potential to supply 40% of Europe’s energy needs. By creating a Public Utility, people will then have the share and they can sell the share on the market and cash out, or retain an interest in Cyprus with the prospect of doubling their money or more. When the USA was trying to emerge as a united country, Alexander Hamilton took all the war debts on the individual states and created a national debt. Secondly, the Constitution promised to honor the debts of the previous government, but never did. In the meantime, Hamilton offered the holders of the old currency the option to swap it into shares of the new bank. Hamilton’s IPO offering for Bank of the United States saw shares prices sold at $400 each with 25,000 shares to be issued. Realizing that this was a fortune and typically several years’ worth of income for the average man, they were sold on a subscription basis and thus the “script” or option to buy a share was sold for $25 payable in gold. The option holder was then required to pay $100 ($25 in gold; $75 in US Debt) by January 1st, 1792 and July 1st, 1792, with the next payment on January 1st, 1793 with the final $75 in debt swaps paid by July 1, 1793. It was this script that began to trade – options if you will, from July 4th, 1791. Within just six weeks of trading was active. The price about doubled by the end of the month of July. By August 1791, they exploded reaching $264 bid – $280 ask in New York on August 11th, 1791. The main market was Philadelphia where they soared in price to $300. This meant that the actual share price would have been about $700. We can create a share or similar product to a Master limited partnership (MLP) which is a limited partnership that is publicly traded on a securities exchange. It combines the tax benefits of a limited partnership with the liquidity of publicly traded securities. MLPs are limited by United States Code to only apply to enterprises that engage in certain businesses, mostly pertaining to the use of natural resources, such as petroleum and natural gas extraction and transportation. To qualify for MLP status, a partnership must generate at least 90 percent of its income from what the Internal Revenue Service (IRS) deems “qualifying” sources. For many MLPs, these include all manner of activities related to the production, processing or transportation of oil, natural gas and coal. In practice, MLPs pay their investors through quarterly required distributions, the amount of which is stated in the contract between the limited partners (the investors) and the general partner (the managers or GP). Typically, the higher the quarterly distributions paid to limited partners, the higher the management fee paid to the general partner. This provides the general partner with an incentive to maximize distributions through pursuing income-accretive acquisitions and organic growth projects. Failure to pay the quarterly required distributions may constitute an event of default. Because MLPs are classified as partnerships, they avoid corporate income tax at both a state and federal levels. Additionally, limited partners may also record a pro-rated share of the MLP’s depreciation on their own tax forms to reduce liability. This is the primary benefit of MLPs and gives MLPs relatively cheap funding. The tax implications of MLPs for individual investors are complex. While distributions from MLPs are taxed at the marginal rate of the limited partner, there may be no tax advantage to claiming the pro-rated share of the MLP’s depreciation when the investments is held in a tax deferred account. To encourage tax-deferred investors, many MLPs set up corporation holding companies of limited partner claims which can issue common equity. A general partner in an MLP often begins with a small stake of about 2% in the partnership, but is given incentive distributions from net income after the quarterly required distributions. Since these distributions are usually paid in the form of increased equity claims the general partner may attain an increased share of the partnership’s ownership. In May 2010, the first ever MLP mutual fund was launched, with a stated goal of providing “a high level of inflation-protected income currently through a 7.8 percent distribution yield, which is higher than equity alternatives such as REITs and Utilities.” The fund is a part of the SteelPath Mutual Fund Family (now OppenheimerFunds). MLP exchange traded fund (ETF) was similarly designed as a mutual fund in that it avails a new level of diversification to investors and, provides a single Form 1099 and allows investors to potentially benefit from return of capital and qualified dividend tax treatment of distributions.